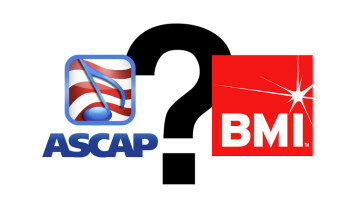 ASCAP and BMI are the major performance rights organizations in the US. They collect the songwriter’s share of royalties for performances of songs on broadcast mediums like radio and television, and public performances such as songs played in clubs, department stores, and music venues. Nobody at either company could tell you the exact formula they use to pay rights holders. Unless you’re getting a lot of air time, you won’t be seeing a dime. Nonetheless, it’s useful to register with a PRO as a badge of professional musician honor, and it sets you up to receive royalty payments in the event one of your songs does achieve heavy rotation. There are some perks associated with either PRO that might prove occasionally useful. Note: You may have heard of SEASAC. They are the third PRO that services U.S. songwriters and publishers. However, unlike ASCAP or BMI, SEASAC is not open to enrollment by anyone. You have to submit an application and be approved, or be invited. They only work with established artists, or artists with “ins” to the organization. As such, we’ve ignored them here, as most independent musicians are also likely to do. Music industry maverick Moses Avalon gives some great advice on why an unsigned or independent musician shouldn’t feel pressured to immediately shell out $100+ to join a PRO. It’s important to have realistic expectations.